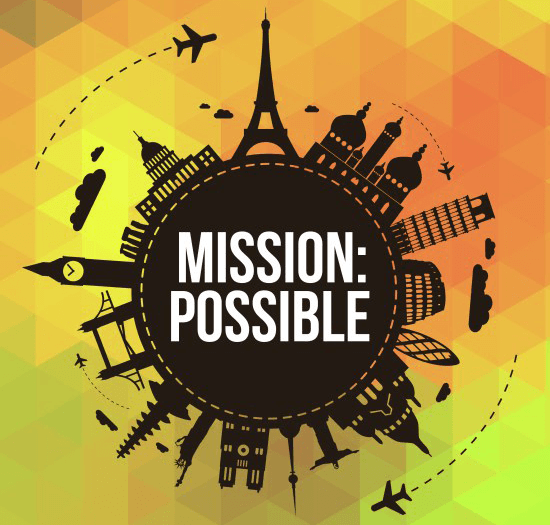 BIG IDEA: I CAN FACE MY FEARS. 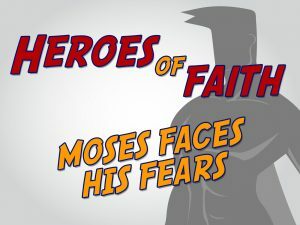 AIM: To help the children understand that just as Moses had to face his fears when God appeared to him, so we must face ours. Yet we don’t face them alone or in our own power. 1. Feel the Fear. Fill different boxes or bags with jello, cooked spaghetti, ice water and baked beans (if British!) or custard. Place small items at the bottom of each box or bag that the children must try and fish out with their hands. 3. Blind Fighters. Blindfold each opponent and give them a pool noodle and a paper plate. The children must try and whack the plate out of their opponent’s hand. 4. What’s the Time Mr Wolf? Children start on one side of the room. One person is the wolf and stand with their back towards the children at the other end of the room. The children ask ‘What’s the time Mr Wolf?’ He might say ‘3 o clock’ and the children would take 3 steps towards the wolf. They keep asking and each time the children step forward the number of steps that the wolf says for the time. Then one time when he is asked the wolf will say ‘Dinner Time!’. He will turn and try to capture as many children as possible before they get to the wall. If someone manages to get to Mr Wolf before he shouts dinner time then they become the wolf. BIG VERSE: Faith is the substance of things hoped for, the evidence of things not seen. Hebrews 11:1. You will need the Superman and Kryptonite clip. Moses doesn’t say yes straight away. He asks questions because he is scared to go. Moses had been living in the wilderness for forty years. He knew how to live there. He hadn’t been back to Egypt since he escaped after killing a soldier. He was no longer a Pharoah’s son, he was an escapee. Having faith means doing what God asks even when we are afraid. Faith means believing even when we are afraid. We might feel fear, but our faith in Jesus will see us through. Play the Bridge of Fear game. You will need some blindfolds (use scarves if you don’t have any). In Exodus 3:12 God reminds Moses; “I will be with you.” God is with us too. He said to Moses that He would be with him, and He promises to be with us too. In fact, when Jesus ascended to the Father he said “…And surely I am with you always, to the very end of the age.” Matthew 28:20. Jesus is with us wherever we go. Perhaps you are feeling fearful of something right now. Jesus is bigger and greater than any other person – or people grouped together. He is greater than anything we will ever face in the whole Universe. And He is with us! He is on our side! He gives us the power to face anything in our pathway! Play a Mirror game. Ask every child to get into pairs. Ask one person to do some actions and their partner to follow them. Then swap over. Ask the children if it was easy to follow the leader. Say: Although Moses in this passage is very afraid, we do know that Moses went on to do great things for God; including helping the people to escape Egypt. 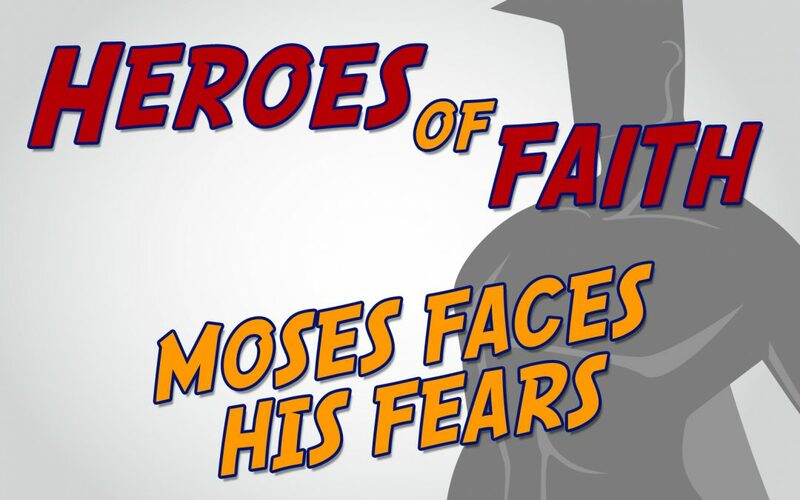 Moses decided not to let his fear overtake him. He decided it was more important to follow God than to be scared of people. He listened to what God said and he followed His instructions. 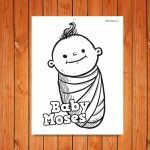 Moses remembered God’s words; “Say to the Israelites, ‘The Lord, the God of your fathers—the God of Abraham, the God of Isaac and the God of Jacob—has sent me to you.’ “This is my name forever, the name you shall call me from generation to generation.” Exodus 3:15. Moses knew whom he was serving. He knew who God is. That’s why he knew the best thing to do was to listen and obey, because God knew all along exactly what He was doing! What bible verses can you find that focus on fear? 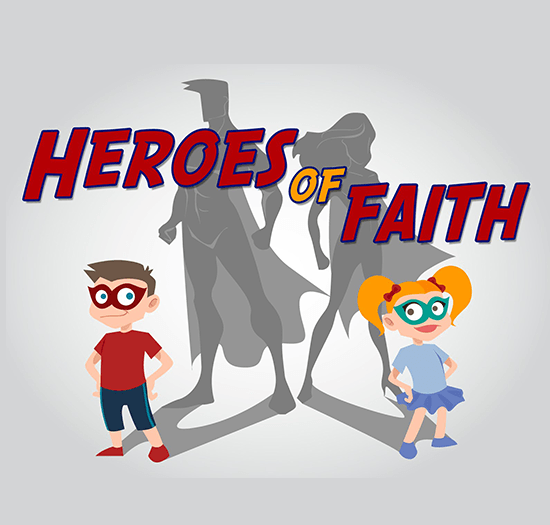 Have a Fear Factor Challenge where the children must pass the test before they can gain a bible verse. 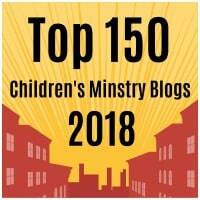 The child with the most bible verses by the end of the challenges is the winner. 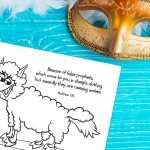 Read out each bible verse after a challenge has been done. Discuss what each of them mean. Psalm 23:4 – Even though I walk through the darkest valley,I will fear no evil, for you are with me; your rod and your staff, they comfort me. 1 Chronicles 28:20 – David also said to Solomon his son, “Be strong and courageous, and do the work. Do not be afraid or discouraged, for the LORD God, my God, is with you. He will not fail you or forsake you until all the work for the service of the temple of the LORD is finished. Psalm 56:3-4 – When I am afraid, I put my trust in you. In God, whose word I praise— in God I trust and am not afraid. What can mere mortals do to me? Imagine you are Moses and God has just come to you and told you that you are to go to Pharoah. What would you be thinking? Create a Tissue Paper and Plate burning bush. Paper bag and coffee filter tree. You could add red and orange tissue paper to create a burning bush effect to this tree. Toilet Roll Stamp Tree. Use this fun painting idea to create a burning bush effect. Bleeding Flames Tissue Paper Craft. Lay some red and orange leaves of tissue down on the paper and then spray water on top. Create this fun burning bush sun catcher with black card or paper, colored tissue paper and contact (sticky plastic) paper. 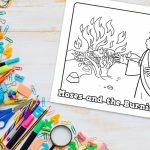 Find the code in this fun Moses and the Burning Bush activity sheet. How do you feel about being scared? Do you like it? Why/why not? Have you ever stopped doing something because you were too scared? What is the good side of fear? How can fear help you? What fears do you need to face? What is the fear that is holding you back? Use this lightning bolt template to create lightning bolts that the children can write or draw their fears on. Once they have done this you can get the children to crumple or rip up the lightning bolts and throw them in the bin, to remind the children that they don’t need to let their fear control them because God is with and within them.